The Mississippi County Port Authority was created in 1979 for the purpose of assisting and stimulation the growth of river oriented commerce and industry in Mississippi County. The Mississippi County Port Authority is the farthest north ice free port on the Mississippi River and thus is open for year-round navigation. The close proximity of the Ohio, Tennessee and Cumberland Rivers allows easy access to an infinite variety of raw materials and a cost-effective means of delivering finished products. Also, the port's mid America location allows overnight truck delivery to 50 percent of the nations population. The Port Authority holds long-term leases (99 years) on 200 acres of developable land approximately four river miles downstream from the confluence of the Ohio and Mississippi River and another 180 adjoining acres lie behind and are protected by the front-line levee system. The port is located at 949 AHP on the Lower Mississippi River. 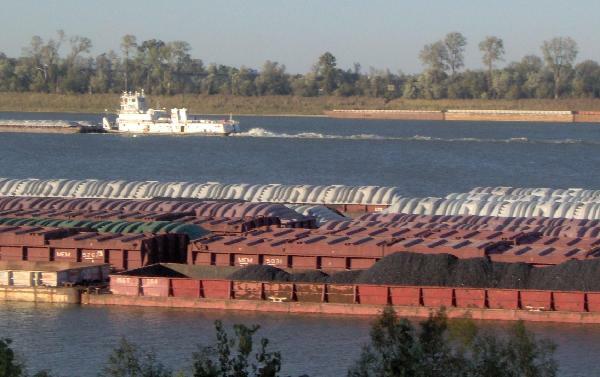 U.S. Army Corps of Engineers approved fleeting space is available and can accommodate more than 1,000 barges in the vicinity of the port site. Harbor tug boats, marine repair facilities and 24 hour dispatch serviced are available at the port site itself. Also, a dry bulk materials loading and unloading facility was built in 1985. Dry-docks, midstream fueling and commissary services are available nearby. The Mississippi County Port Authority owns and operates the Dorena, Missouri - Hickman, Kentucky Toll Ferry.